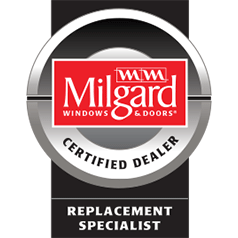 For as long as the original purchaser owns the single-family, owner-occupied dwelling in which our windows and/or doors are installed, Windows Only guarantees it will repair or replace any product which is deemed defective as a result of Wrongful Installation. Windows Only will provide all labor and materials to correct any defect to the installed material resulting from Wrongful Installation. Windows Only will make every reasonable attempt to match original color and design, however replacement parts, color and design may vary from the original. If Windows Only is unable to furnish this service itself, labor performed by others must have our prior, written approval and will be paid at our current rates, which are on file in our office. “Wrongful Installation” shall mean the following: Installation methods and workmanship which is not in accordance with standard practices and procedures, taking into account manufacturer specifications, instructions, and tolerances. Wrongful Installation does not include damage or defects caused by normal wear and tear, weathering, misuse, acts of nature, or normal weathering. This guarantee does not apply to defects to the extent such defects are covered by any manufacturer’s warranty. This warranty does not cover any incidental or consequential damage to surrounding structural elements such as walls, floors, siding, etc. This guarantee is conditioned upon Windows Only receiving its payment in full, proof of original ownership of the defective materials, and receipt by Windows Only of written notice of the warranty claim. This guarantee is expressly in lieu of all other guarantees, express or implied, including any guarantees of merchantability or fitness and may not be altered except in writing by the President of Windows Only. This lifetime guarantee may not be assigned or transferred, and terminates upon the sale of the home containing the installed materials. This warranty is effective upon completion and full payment of installation.